Slide is one of those feel good novels that I would read when I am down in dumps. Michelle Congdon’s venture into the world of fiction has had a good start. From the delectable Ryan Fox to the perfect Evangeline, everything and everyone in this début novel is designed to please. Fast paced and slick Ryan Fox the hero of Slide might just develop a fan following amongst the young adult readers. I would have enjoyed more if there was more of a mystery behind the various deaths in the novel because in the beginning there were hints that the deaths were not just accidental. However after the slight build up of suspense the story changes its course. Elaborating on the suspense element might have added a little more depth to the story. This was also the first time that I realized, I am older than the protagonists! It did come as a shock but adult contemporary novels are often written with a certain age group in mind. However, are present day 22 year olds thinking of marriage? Slide and its issues felt like going back in time. 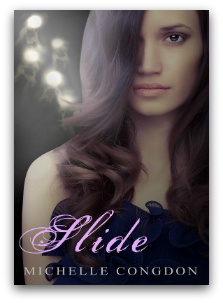 Other than the presence of cellular phones, Slide could have been an Adult Contemporary Novel from the 1980s. But, as I have mentioned before, Slide is a wonderful book to pick when you need lift. Michelle Congdon has very graciously shared Ten Random Facts about Slide. So, I hope they satisfy your curiosity. If not, I am sure she’ll oblige to answer more questions in the comments section below. 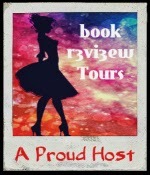 This entry was posted in Adult Contemporary, Book Reviews and tagged Adult Contemporary, Author Michelle Congdon, Blog Tour, Book review, Books, Young Adults fiction on November 29, 2013 by driftingtraveller.